If you are already an experienced skier and snow sports addict, or even if you have only ever visited those dry or artificial ski slopes, consider spending part of your gap year training to become a ski or snowboard instructor. Winter sports holidays are immensely popular and good ski and snowboard instructors are always in demand every season. There are plenty of reputable organisations offering ski and snowboard courses in some of the world’s most beautiful ski resorts, and most will then help you find a job to pay for the rest of your year! Grab your chance to put those family holidays learning to ski to good use. Qualify and get up to 16 weeks paid work as a Ski Instructor or Snowboard Instructor in the same season with our exclusive Ski & Snowboard Instructor Internships. Training as a ski or snowboard instructor on your gap year will not only leave you with a valuable skill which you can use to secure future jobs and income, you will also spend a great gap year in a truly amazing location, surrounded by like minded winter sports enthusiasts. If you’ve already become a pretty good skier and want to improve your skills even more then a ski and snowboarder instructor course could be just the thing for you on your gap year. The courses that are offered by many of the skiing companies normally last from 4 weeks up to 12 weeks. On successful completion of the course you’ll become certified as an instructor and can then go about finding yourself a gap year job for the season. You can train in resorts all over the world including top ski ranges such as Whistler Black and Big White in Canada. You will gain a Canadian Ski Instructors Alliance (CSIA) and Canadian Association of Snowboard Instructors (CASI) qualifications which are over seen by the world governing body, the International Ski Instructor’s Association. If you prefer to train and work a little bit closer to home then a ski or snowboard instructor course in Europe will fit the bill. The Alps are hugely popular with holidaymakers, and there’s plenty of scope for gappers to work and play during their time there. There are even some training companies that offer courses aimed specifically at gap year candidates. 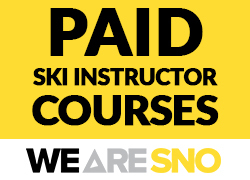 The PSIA course can be taken in Austria or you can enhance your skiing skills and teaching techniques via an intense ski instructor course in Val D’Isere. Once you’ve got your certificate you can start job hunting in the country and resort of your choice and have a fantastic time on the slopes (and bars!) during your gap year.